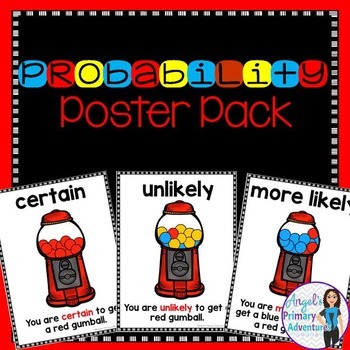 These 8 probability vocabulary posters will provide a great reference source for your students! 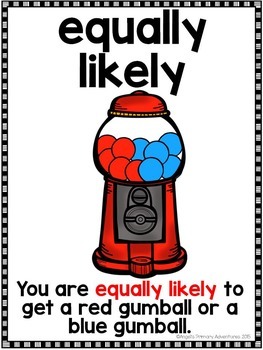 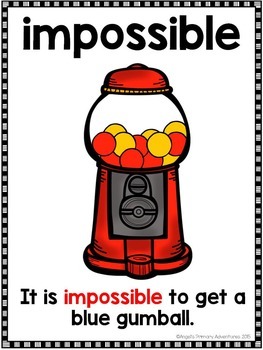 Featuring a colourful gumball machine, vocabulary used in this poster set includes: possible, impossible, certain, likely, unlikely, more likely, less likely and equally likely. 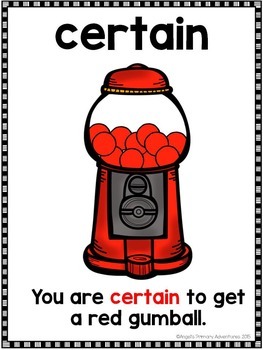 Just print and post!